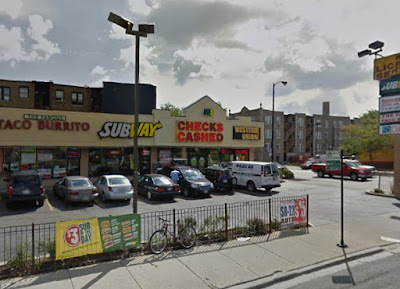 A 29-year-old gang member is in stable condition after being shot at 3601 N. Western Avenue this morning, across the street from Lane Tech High School. No one is in custody. Several police units were already in the area to disperse a large party nearby. Officers believe the shooting and the party are related. Officers heard shots fired a 2:41AM and soon found the victim, who was wounded in his left calf, at a nearby Subway restaurant. Shell casings were later found lying in the westbound lanes of Addison at Claremont. Several people who were lingering in a nearby strip mall have been questioned by police. Most are in their late teens and live in the Albany Park or Logan Square neighborhoods. The victim, who lives in Albany Park, has previously served eight years for possessing 100 to 400 grams of cocaine and more recently was accused of being a felon in possession of a weapon. Police say the he was "uncooperative" and even tried to leave the hospital despite having a bullet in his leg.